You will find in some recipes that they want you to hull strawberries or other fruit before you cook or serve them. 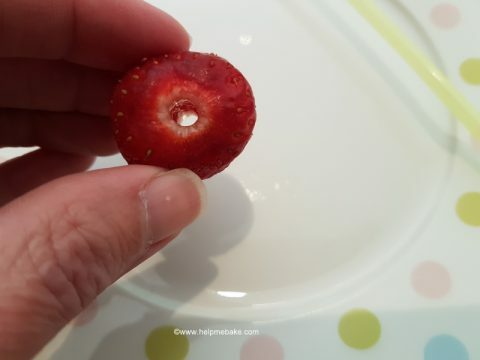 There are two ways in which you can hull strawberries, however, firstly let me explain what it means. All this means is that they want you to remove the green leafy part of the strawberry also known as the calyx before you use them. To do this you would use one of the following methods. Please ensure you wash your fruit first then pat them dry using a piece of kitchen towel before you begin. 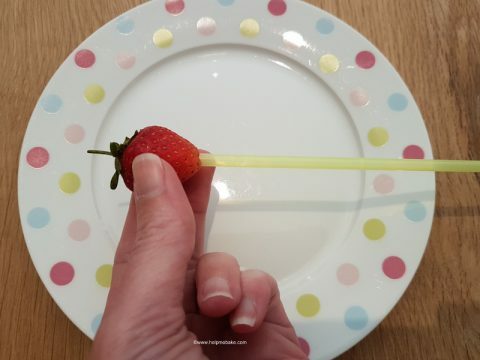 The easiest way to hull a strawberry is to use a drinking straw. 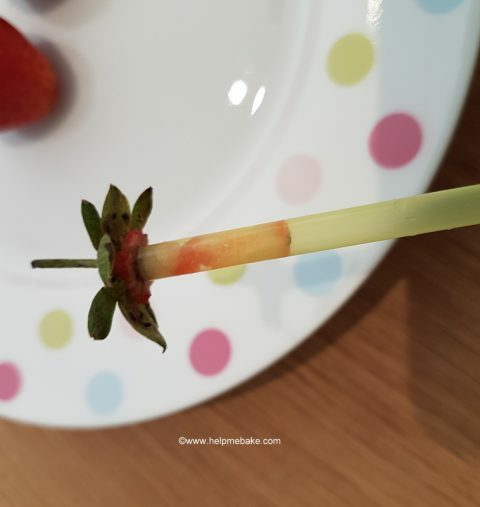 Simply, take the straw and insert it into the base of the strawberry like so. Push it all the way through to the stem. 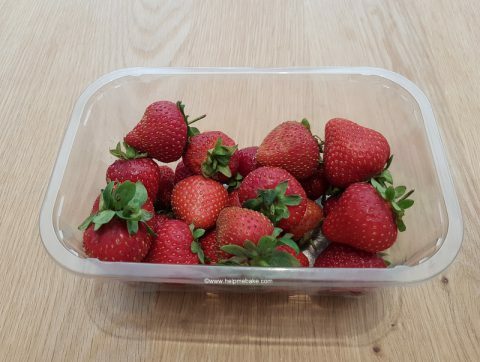 The straw only removes a small amount of strawberry and collects the stem thus leaving you with a beautifully crafted hole right through the centre. These are then ready to use for cooking or to be used on fruit kebabs. 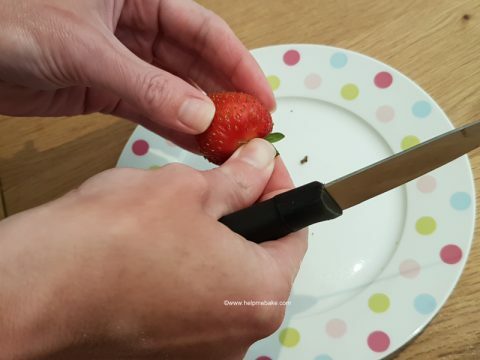 Take the green leaves and remove them from the strawberry. 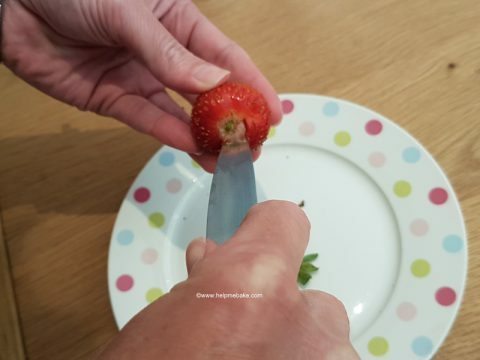 This then allows you to view the centre of the fruit and makes it easier to work your knife around. (Please be very careful with your knife or get an adult to help you). 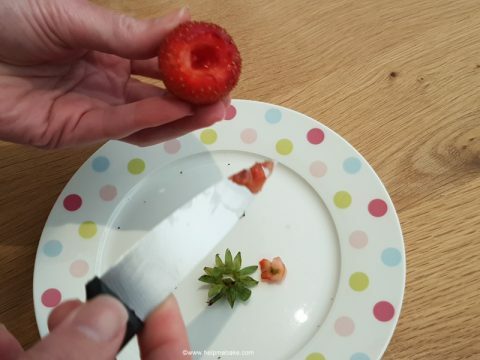 Once the leaves or (calyx) has been removed place your knife in the centre at an angle and then start cutting a cone shape into the fruit. 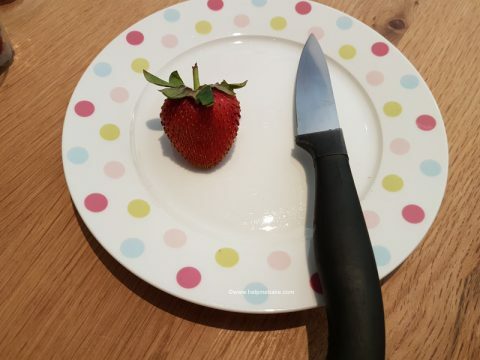 If you rotate the strawberry with your left hand and then cut with your right (or vice versa if you’re left-handed). The middle section will then start to move away. 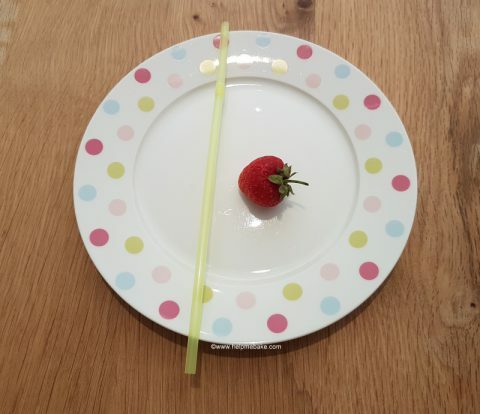 Once removed the strawberries can then be used. 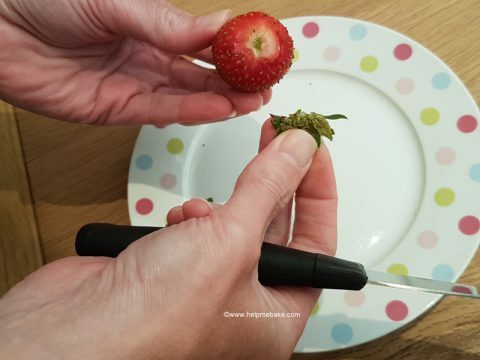 Please note that if you are making chocolate strawberries then do not hull them as you will need the leafy stems for dipping. I've always used the straw method, it's so much easier and quicker and makes a really neat hole. I know, it's the best method to use but I thought I'd put both on for those people who haven't got straws. True, I used to have to do it that way before getting the straws, I keep a few in the cupboard just for that purpose, just wash them out and they're ready to go again. What if you need strawberries in Chelsea? I like to educate people, you learn something new every day.